If we want to create a better future for ourselves and our community, we must embrace this idea of being uncomfortable — or what I call “getting into the discomfort zone.” And, to do this, it is helpful to remember that stress is not a universally negative trait. In fact, there is a word for “good stress”. It is called eustress. 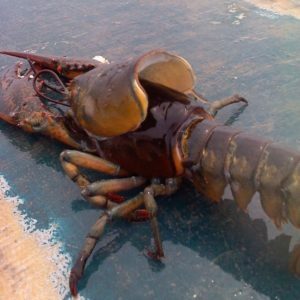 If you’re looking for a metaphor to motivate you to change look no further than the humble lobster–change may be uncomfortable and stressful but it is the only way to grow.